Mid-Century Modern design is an iconic twentieth-century style that continues to captivate and excite us well into the twenty-first century. 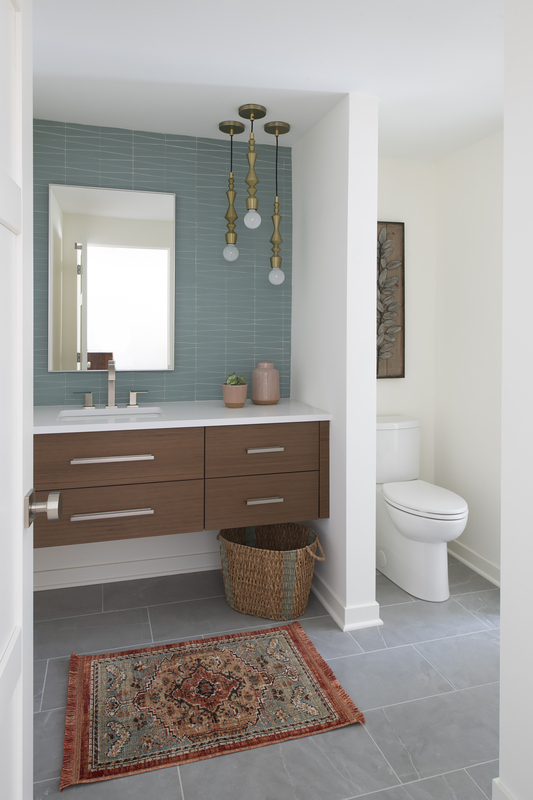 This style is a personal favorite of Megan Dent, one of Mingle’s kitchen and bath designers. 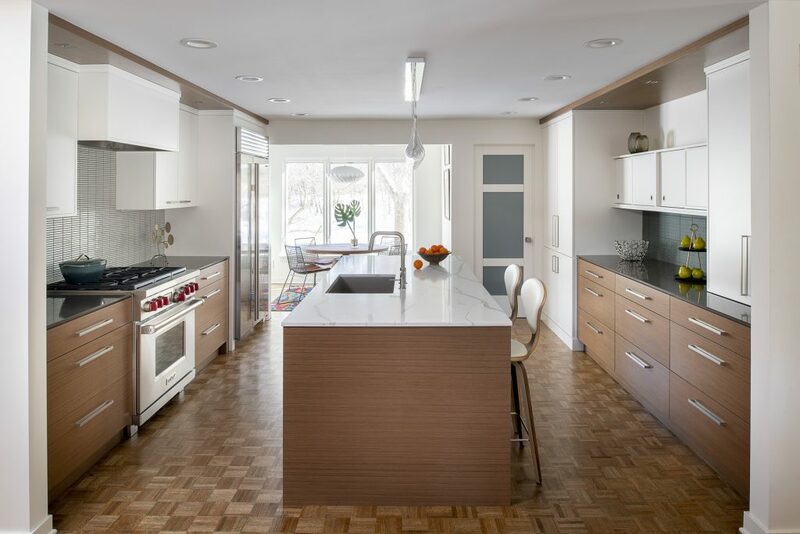 Megan had the opportunity to put her passion into action on one of her recent remodel projects, which we will showcase to illustrate and define some of the features of mid-century modern design. Mid-Century Modern is a style of architecture, and interior design that reflects World War II optimism, the growing economy, and the rapid rise of suburban living. This period roughly lasted from the mid-1940s to the mid-1960s. Suburban homes built during this time were fairly small, yet open, uncluttered, and airy. Efficiency was key. These homes were intentionally designed to be a fresh alternative to the darker, neo-classical styles of the earlier part of the twentieth century. Megan shared why she likes this style. “Mid-Mod (as I like to call it) is so appealing because it tends to blend organic and natural elements with clean and simple styling. Mid-mod design makes me feel a sense of tranquility because of its horizontal tendencies and warm palettes. Less can be more in this design style,” she added. What design features define a Mid-Century Modern space? 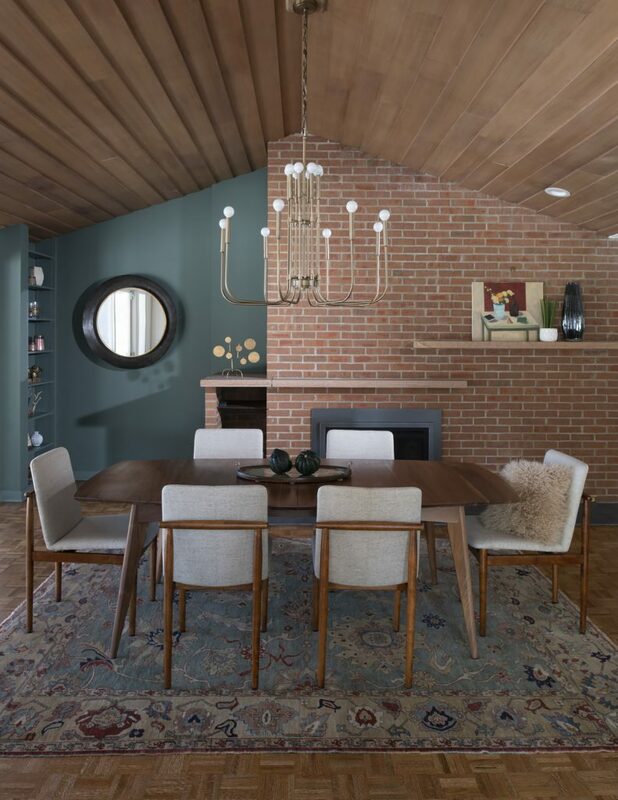 How do you accessorize a mid-century modern inspired space? Megan explained that accessories always serve to complete a space. Consistent with the mid-century modern style, less is more. Be sure to check out the rest of this home in our portfolio. 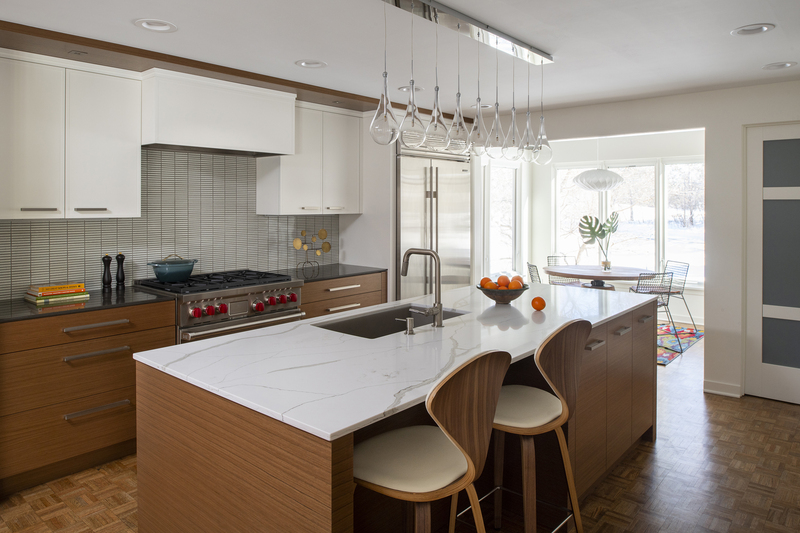 Mid-century modern is just one of the many styles of kitchens that the Mingle Kitchen and Bath Design team has created for their clients. We want your home to be beautiful, and functional and reflect your own unique design aesthetic. Check out our design services and explore the options you have been considering. If you’re interested in starting the project of your dreams, schedule an appointment with our design team.